The police officer suffered a broken bone in his arm after the suspect allegedly grabbed his taser. EAST POINT, Ga. -- A man was shot to death by police early Sunday morning after the suspect allegedly began fighting with the officer following a sobriety check. Terrence Leslie, 32, was pulled over by a College Park police officer around 2:20 am at an Exxon gas station on Camp Creek Parkway. According to the GBI, which has taken over the investigation, Leslie began to fight with the officer, who then deployed his taser. Leslie, according to police, grabbed at the officer's taser and broke a bone in the officer's arm. The officer then fired multiple gunshots at Leslie, striking him. Leslie went back in his vehicle and drove a short distance, crashing into a pole at a nearby Texaco gas station. The officer and Leslie were transported to area hospitals. Leslie died from his injuries. The officer underwent surgery Sunday afternoon and is doing well, according to police. 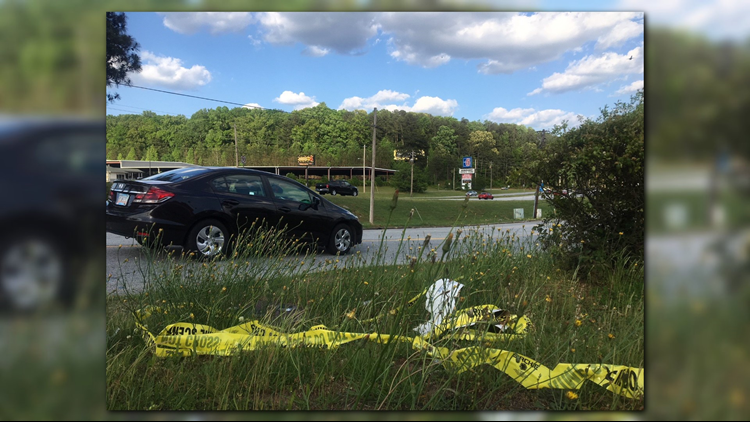 According to the GBI, this is the 10th officer-involved shooting in 10 days. According to the Georgia Department of Corrections, Leslie had been sentenced to several years in prison on a variety of charges, including by Fulton County on several counts of aggravated assault. Leslie also had been sentenced to jail terms on drug charges in Fayette, Clayton and Fulton counties, as well as felony firearm possession charges in both Fulton and Clayton counties, criminal property damage charges in Fulton and obstruction of a law enforcement officer in Clayton.